A Mohamed, M Abukhater, W Mohamed. Adult Choledochal Cyst: Intra-operative Surprise. Case Report and Literature Review. The Internet Journal of Surgery. 2009 Volume 25 Number 2. Presentation of a choledochal cyst is rare in adults. The diagnosis of adult choledochal cysts is frequently delayed due to nonspecific clinical symptoms or symptoms obscured by secondary hepatobiliary disease. We report a case of choledochal cyst associated with gallstones in a 15-year- old female which was diagnosed during laparoscopic cholecystectomy. Choledochal cysts (CCs) are congenital conditions associated with benign cystic dilatation of bile ducts. Although cystic disease of the biliary tree has been described since 1723, much about its etiology, pathophysiology, natural course and optimal treatment remains under debate. CCs are reported mainly in children; however, an increasing number of adult patients have been diagnosed with the disease. Pre-operative diagnosis is essential for proper planning for surgery and to avoid unexpected intra-operative surprise. We report a case of an adult choledochal cyst missed on ultrasonic evaluation of a patient with gall stone symptoms. The diagnosis was established intra-operatively during laparoscopic cholecystectomy by intra-operative cholangiogram and confirmed by post operative MRCP. A 16-year-old female patient presented to the surgical outpatient department at King Fahad Medical City, Riyadh, KSA with a history of recurrent right hypochodrium pain radiating to the right shoulder. She gave no history of jaundice, fever, rigors or pervious surgery. She had no history of medical illness. Clinical examination was entirely normal. Laboratory investigations including full blood count, liver function test and urea and electrolytes were within normal limits. The upper abdominal ultrasound was reported as liver normal in size and echogenicity with no focal lesion. The gallbladder showed multiple stones with normal wall thickness and no evidence of acute inflammation. 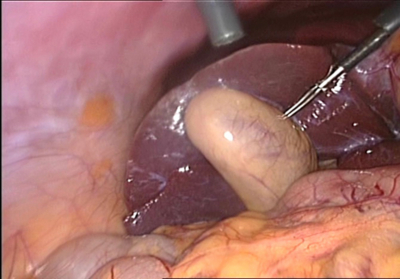 The common bile duct was normal in caliber and there was no dilatation of the intrahepatic bile radicles (figure 1, 2). 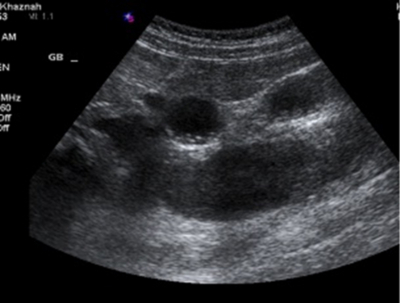 Figure 1: Ultrasonography of the gallbladder showing multiple stones with normal wall thickness and no evidence of acute inflammation. 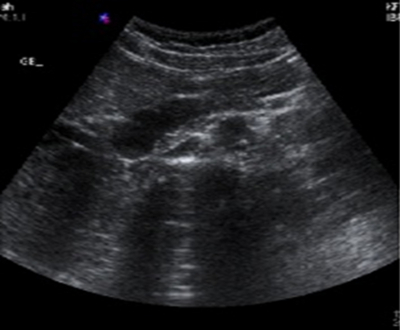 Figure 2: Ultrasonography of the liver showing a dilated tubular structure posterior to the gallbladder with internal echoes and posterior wall enhancement (findings overlooked in the initial ultrasound report). The patient was booked for elective laparoscopic cholecystectomy on the assumptive diagnosis of gall stones. Intraoperatively, the gallbladder was distended, but not inflamed (figure 3). On traction of the gallbladder upwards, a dilated cyst was seen which seemed to be in continuity with the gallbladder just below the level of the cystic duct (figure 4). The cystic duct was dissected (figure 5) and transcystic duct cholangiography was done (figure 6) which confirmed the diagnosis of a choledochal cyst. Figure 3: Distended gallbladder without obvious signs of acute inflammation. Figure 5: The cystic duct was dissected and it was obvious that it was in continuity with the cyst. Figure 6: Intra-operative cholangiogram catheter inserted through the cystic duct. We proceeded with routine laparoscopic cholecystectomy without dealing with the cyst at this stage. A postoperative MRI confirmed the diagnosis of a choledochal cyst (figures 7 & 8). Figures 7 & 8: Postoperative MRCP confirming the diagnosis of a choledochal cyst. Subsequently, the patient had excision of the cyst with hepaticojejunostomy without complications. The histopathology report confirmed the diagnosis of a choledochal cyst. Choledochal cysts (CCs) are congenital conditions associated with benign cystic dilatation of bile ducts. They are uncommon in western countries (1) but not as rare in East Asian nations like Japan and China. In North America the incidence of CCs is estimated to be 1/150,000 (2). Although cystic disease of the biliary tree has been described since 1723, much about its etiology, pathophysiology, natural course and optimal treatment remains under debate (3). Vaterl is often cited as the first to report a case of CC in 1723, but the first well documented case was reported by Douglas (4) in 1852 when he presented a biliary cyst in a 17-year-old girl. Alonso-Lej and colleagues (5) proposed the first classification system for CCs in 1959, describing 3 types of bile duct dilation, which has gained wide acceptance. Todani and colleagues (6) expanded this system in 1977 to include the occurrence of intrahepatic and multiple cysts, and this modified classification is now most commonly used by clinicians (7). This classification is based on the cholangiographic morphology, location, and number of intrahepatic and extrahepatic bile duct cysts. In 1958, Caroli (8) described in detail the distressing course of the condition. No strong unifying etiologic theory exists for choledochal cysts. The pathogenesis is probably multifactorial (7). Although many theories have been put forth, Babbitt’s (9) theory of cysts caused by an abnormal pancreaticobiliary duct junction such that the pancreatic duct and the common bile duct meet outside the ampulla of Vater, thus forming a long common channel, has gained much popularity. allows pancreatic secretions to reflux into the common bile duct, where the pancreatic proenzymes become activated, damaging and weakening the bile duct wall. Defects in epithelialization and recanalization of the developing bile ducts and congenital weakness of the ductal wall also have been implicated. The result is formation of a choledochal cyst. CCs are reported mainly in children; however, an increasing number of adult patients have been diagnosed with the disease. About 20-30% of CCs are diagnosed in adults (10). Most of CCs present in the first year of life; adult presentation is rare and usually at this stage is associated with complications. The classic triad of intermittent abdominal pain, jaundice, and a right upper quadrant abdominal mass is found only in 20% of patients. The diagnosis of adult choledochal cysts is frequently delayed due to nonspecific clinical symptoms or symptoms obscured by secondary hepatobiliary disease. Pre-operative diagnosis is essential for properly planned surgery and to avoid unexpected intra-operative surprise. There are only few cases of CCs that were diagnosed intra-operatively. Sharp et al. reported a case of choledochal cyst found during a cholecystectomy using a transcystic intra-operative cholangiogram (11). Gibbs et al. reported a case which was almost similar to our case in which a Hispanic female presented with classic findings consistent with biliary colic. A preoperative ultrasound revealed multiple gallstones and mild dilatation of the common bile duct. At the time of laparoscopy, she was found to have a dilated common bile duct, cystic duct, and gallbladder. Further dissection was discontinued, a cholecystectomy made, and a percutaneous transabdominal cholangiogram through the gallbladder was performed, which revealed a type I choledochal cyst (12). 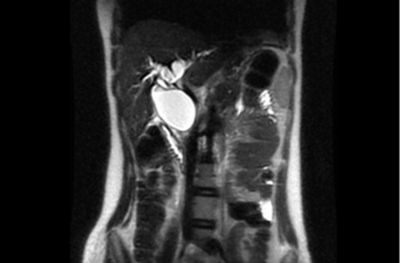 A choledochocele may be easily overlooked by the conventional diagnostic methods, such as upper gastrointestinal series, intravenous cholangiogram, abdominal ultrasound, and computed tomography (13). Multidetector computed tomography with reformatted imaging, magnetic resonance cholangiopancreatography, and endoscopic retrograde cholangiography represent the important techniques providing the anatomical resolution and detail required to properly diagnose and classify choledochal cysts and their associated abnormal features of the biliary tree, as well as their pancreaticobile duct union (14). Magnetic resonance cholangiopancreatography (MRCP) is now considered to be the gold standard (15, 16, and 17). MR cholangiography can be used to confirm the diagnosis of choledochal cysts and define the extent of involvement preoperatively (18). MRCP offers diagnostic information that is equivalent or superior to that of ERCP for the evaluation of type I choledochal cysts in adults and because this modality is non-invasive, it should be the preferred imaging technique for examination of adult patients with choledochal cysts (19). Matos et al. compared MR cholangiopancreatography and endoscopic retrograde cholangiopancreatography in eight patients with choledochal cysts. They concluded that MRCP provides information equivalent to that provided with ERCP, without potential complications, for the preoperative assessment of choledochal cysts. Dynamic secretin-stimulated MRCP studies might help better understand the pathophysiologic characteristics of this entity (20). Complications of choledochal cysts in adults include cholecystitis, recurrent cholangitis, biliary stricture, choledocholithiasis, recurrent acute pancreatitis, and malignant transformation into cholangiocarcinoma (2). 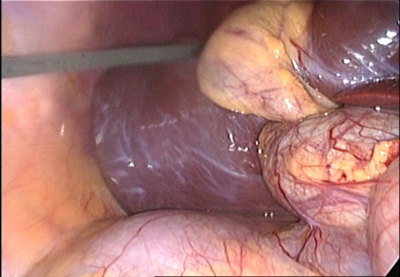 In the past, choledochal cysts were often treated using drainage procedures; however, the optimal treatment used today is likely to involve the complete excision of the extrahepatic duct, cholecystectomy, and Roux-en-Y hepaticojejunostomy. CCs are reported mainly in children; however, an increasing number of adult patients have been diagnosed with the disease. Adult presentation is rare and the diagnosis is frequently delayed due to nonspecific clinical symptoms or symptoms obscured by secondary hepatobiliary disease. Pre-operative diagnosis is essential for proper planning for surgery and to avoid unexpected intra-operative surprise. MRCP provides a valuable non-invasive diagnostic modality for establishing the diagnosis in suspected cases. 1. Liu YB, Wang JW, Devkota KR, et al. : Congenital choledochal cysts in adults: twenty-five-year experience. Chin Med J; 2007; 120 (16): 1404-7. 2. Wiseman K, Buczkowski AK, Chung SW, Francoeur J, Schaeffer D, Scudamore CH: Epidemiology, presentation, diagnosis, and outcomes of choledochal cysts in adults in an urban environment. Am J Surg; 2005; 189(5): 527-31. 3. Vater A: Dissertation in auguralis medica poes diss qua scirrhis viscerum dissert, c. s. ezlerus. Edinburgh: University Library; 1723; 70: 19. 4. Douglas AH: Case of dilatation of the common bile duct. Monthly J Med Sc (London); 1852; 14: 97. 5. Alonso-Lej F, Rever WB, Pessango DJ: Congenital choledochal cyst, with a report of 2 and analysis of 94 cases. Int Abstr Surg; 1959; 108: 1–30. 6. Todani T, Watanabe Y, Narusue M, et al. : Congenital bile duct cysts: classification, operative procedures, and review of thirty-seven cases including cancer arising from choledochal cyst. Am J Surg; 1977; 134: 263-9. 7. Singham J, Yoshida EM, Scudamore CH: Choledochal cysts: part 1 of 3: classification and pathogenesis. Can J Surg; 2009; 52(5): 434-40. 8. Caroli J, Couinaud C: Une affection nouvelle, sans doute congenitale des voies biliaires: La dilatation kystique unilobaire des canaux hepatiques. Sem Hop Paris; 1958; 34: 136. 9. Babbitt DP: Congenital choledochal cyst: new etiological concept based on anomalous relationships of the common bile duct and pancreatic bulb. Ann Radiol; 1969; 12: 231–40. 10. Hernández-Castillo E, Mondragón-Sánchez R, Mondragón-Sánchez A, Martínez-González MN: Choledochal cysts in the adult patient. Rev Gastroenterol Mex; 2003; 68(4): 298-303. 11. Sharp A, Guzmán S, Tapia A, Llanos O, Ibáñez L: Choledochocele, Report of a case and review of the literature. Rev Med Chil; 1994; 122(8): 940-3. 12. 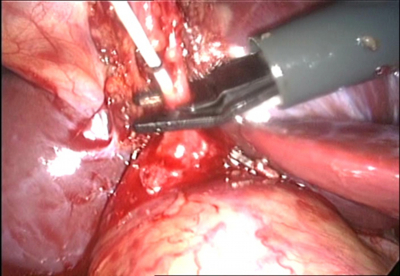 Gibbs DH, Crist D: Intraoperative diagnosis of choledochal cyst in preparation for laparoscopic cholecystectomy. Surg Laparosc Endosc; 1994; 4(3): 225-9. 13. Venu RP, Geenen JE, Hogan WJ, Dodds WJ, Wilson SW, Stewart ET, Soergel KH: Role of endoscopic retrograde cholangiopancreatography in the diagnosis and treatment of choledochocele. Gastroenterology; 1984; 87(5): 1144-9. 14. Lee HK, Park SJ, Yi BH, Lee AL, Moon JH, Chang YW: Imaging features of adult choledochal cysts: a pictorial review. Korean J Radiol; 2009; 10(1): 71-80. 15. Kim MJ, Han SJ, Yoon CS, et al. : Cholangiopancreatography to reveal anomalous pancreaticobiliary ductal union in infants and children with choledochal cysts. AJR Am J Roentgenol; 2002; 179: 209-14. 16. Hussain ZH, Bloom DA, Tolia V: Caroli’s disease diagnosed in a child by MRCP. Clin Imaging; 2000; 24: 289-91. 17. Carrera C, Castiella A, Fernandez J, et al. : Caroli’s disease diagnosed by magnetic resonance cholangiopancreatography. Eur J Gastroenterol Hepatol; 2002; 14: 577. 18. Govil S, Justus A, Korah I, Perakath A, Zachariah N, Sen S: Choledochal cysts: evaluation with MR cholangiography. Abdom Imaging; 1998; 23(6): 616-9. 19. Haciyanli M, Genc H, Colakoglu O, Aksoz K, Unsal B, Uluç E: An adult choledochal cyst--the magnetic resonance cholangiopancreatography findings: report of a case. Surg Today; 2008; 38(11): 1056-9. 20. 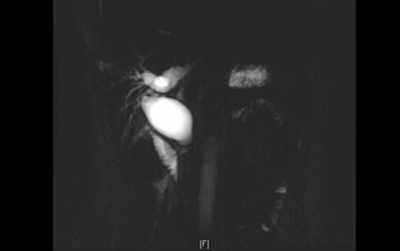 Matos C, Nicaise N, Devière J, Cassart M, Metens T, Struyven J, Cremer M: Choledochal cysts: comparison of findings at MR cholangiopancreatography and endoscopic retrograde cholangiopancreatography in eight patients. Radiology; 1998; 209(2): 443-8.